The Piedmont Historical Society was founded in 1978 and chartered in 1981 under the laws of the State of South Carolina for the purpose of collecting, preserving and publishing historical and genealogy records of upstate South Carolina and other areas of the state. Everyone is WELCOME to our meetings! 1171 Goldmine Rd., Spartanburg, SC 29307. The Fee is $12 for individual, $15 for family. We will mail you a membership form on which you can list 10 surnames you are researching. These will be listed on our website with your permission. Topic - She will speak on "The Scourge of the South: Pellagra and Poverty in Spartanburg Mill Villages." Her publications include Merchants, Midwives and Laboring Women: Italian Migrants in Urban America. Speaker - Dr Catherine G Canino - Professor of English and Director of the Honors Program at USCUpstate. Topic - "From Sparta to Spartanburg: The Experience of Greek Americans in Spartanburg, SC. Most of them became grocers or restaurateurs. Her publications include "Shakespeare and the Nobility: The Negotiation of Lineage." Many thanks to Dr Andrew Myers, the Moderator, for bringing together these fine presenters for us. We are sure to enjoy history at it's finest! Speaker - Dr Timothy P. (Paul) Grady, professor of history at the University of South Carolina Upstate in Spartanburg, SC. He teaches American history focusing on the history of Early America. He received his doctorate from the College of William & Mary and has taught at USC Upstate since 2006. He is author of Anglo-Spanish Rivalry in Colonial South Eastern America, 1650-1720 and co-editor of Recovering the Piedmont Past: Unexplored Moments in Nine- teenth-Century South Carolina History and Recovering the Piedmont Past, Volume 2: Bridging the Centuries in the South Carolina Upcountry, 1877-1941. Topic - Dr Grady will be speaking on issues that appear in his chapter in Recovering Piedmont Past, volume 2, entitled The Circus is Coming to Town: the Golden Age of the Circus in the South Carolina Upcountry. We have been privileged to hear these stories in our history from the author who wrote them in this new book. Tell your friends of this opportunity to hear from the best! She has a passion for the people and history of the Gettysburg era, and has been a member of the re-enacting community for over 20 years. While she interprets several eras from the mid-18th century, she is particularly interested in the mid-19th century clothing and material culture. She says she was bitten by the history bug at a very early age.She has enjoyed visiting Gettysburg many times through the years. Currently her time is spent attending conferences and symposiums on the 19th century material culture like the Corsets and Cravats symposium being held in Newberry, SC in early August. Topic - "The Citizens of Gettysburg and How the Battle Changed That town Forever"
This offering will hopefully shed light on how this town and it's surrounding countryside were changed forever by the colliding armies. The discussion will show other reasons why Gettysburg was strategic, not just for the rumor of shoes for those Confederates under Lee's command. We'll explore the stories of a few of the town's 2,500 inhabitants at the time of battle. Beginning with John Burns, one of its oldest citizens and a veteran of the War of 1812 and ending with the tragedy of Jennie Wade, the only civilian death during the 3 days of battle. "The Sisters of Charity" a religious order based in nearby Emmitsburg traveled to Gettysburg to assist in nursing the wounded left behind, Take note of the very large scale field hospital. Speaker - Russel Floyd, President of JF Floyd Funeral Home. He will be assisted by Gordon Floyd, his brother and Glen Miller, their General Manager. Topic - "The John Franklin Floyd family and the JF Floyd Funeral Home"
The brothers will bring to us the story of how this business started in 1886 as Furniture and Undertaking . Mr. Floyd sold caskets. As you may imagine, over a period of 132 years there have been many stories and experiences, some sad and some happy, and probably a few to make you laugh! Bring your family and friends to enjoy another facet of the HISTORY OF SPARTANBURG COUNTY! The William Poole Family Revisited by Deborah Lorraine Brown Nelson. This is the same family that was presented in the Upper South Carolina Genealogy & History Quarterly, August 1999, Volume XIII, No. 3 by Dr. James L. Reid from the files of Mrs. Della White Brooks of Cowpens, SC. A Bragg Line - A report provided by a faithful member of the Piedmont Historical Society, Dr. Dan Olds, a retired Physics Professor from Wofford College. This will be permanently listed in the "Surname Studies" tab. Michael Gaffney Documentation: A newspaper article provided by Dr. James Reid and an estate file provided by Betty Jean Dill. John B. Easterwood - This is a Family study done by Betty Jean Dill with the support of the PHS. This Easterwood family was found in several of the family studies conducted by the PHS and this study completes the picture. This study will be at the "Surname Studies" tab. Please click here to access the Winter 2013-2014 issue of the Linder Quarterly. **Please Note** When South Carolina became a state in 1785, the governmental units were called counties and remained so named until 1800 when the designation “County” was changed to ‘District”. In 1868 the name “District” was changed back to “County”, which name has been in use since then. The name of the governmental area changed at these dates but not its function. For the era prior to 1785, don't forget to check records filed in Charleston (or Charles Town) as that was the seat of colonial government and the place where legal documents were recorded. 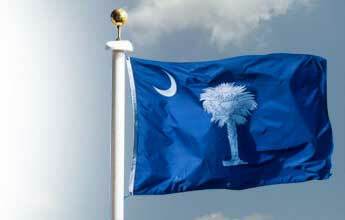 Prior to the early 1800's, North Carolina also claimed the northern portion of the South Carolina Piedmont. So, some of the early records will be found in Tryon County and Mecklenburg County as well as the colonial and state records of North Carolina.